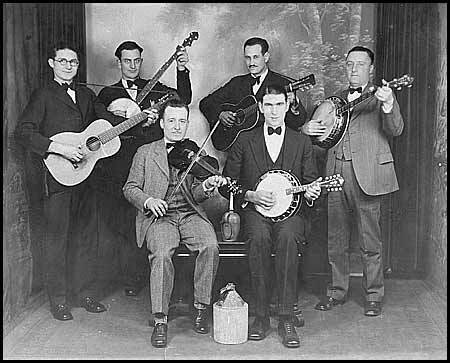 New Roanoke Jug Band to reunite for Country Store Christmas. Floyd, Va. 12/11/10. Rootstone is a group of versatile young musicians who conjure the ancient strains of American music with a fearless old school sensibility. This is not Roots Music with a modern twist, or a dash of punk added; It's a full tilt primitive revival that conjures the sounds of Memphis' great jug bands and songsters, Mississippi's Blues and Fiddle masters, and the Blues greats and superb string bands of the Carolina Piedmont. Around one mic, we sing the songs with their regional accents, and use a rotating arsenal of guitars, banjos, fiddle, upright bass, washboard, jug, harmonica and more to make a glorious ruckus, in full harmony with the ghosts of 400 years of American Roots Music. Come out and experience it for yourself! We hope to see you at our next show. Mountain Song Inn has two free tickets to this Country Store event for the first 2 day reservation we receive for this concert. Book Fri.-Sat. or Sat.-Sun. and they are yours. Our online reservations are time stamped so be the first in line. Hope to see you here!